Results Reproduction (R-Squared) is a service that computationally reproduces the results of your research to ensure Reproducibility and Transparency – think of it as enhanced proofreading for your Data and Code. The client deposits with R-Squared. After CISER receives the submission we check it for completeness, run the code and compare the results making sure they are identical. Any differences we discuss with the client and fix. 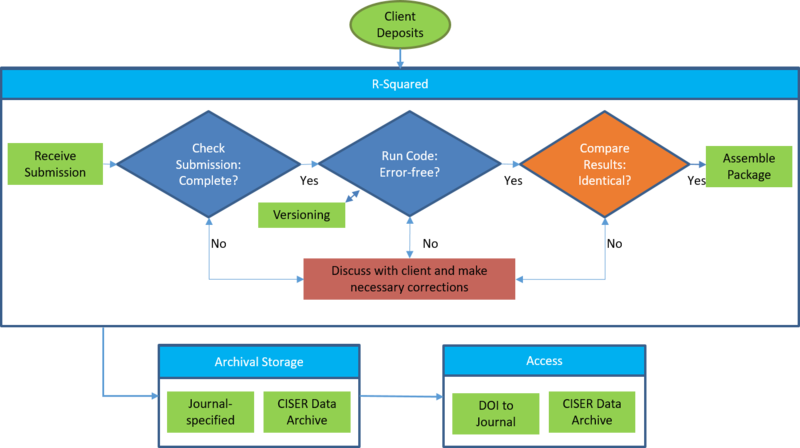 Then we archive it in either a journal-specified repository or in the CISER Data Archive where people can access it online.